As Gustavus and the National Collegiate Athletic Association (NCAA) celebrate the inaugural Division III Week (April 9-13), Gustavus would like to celebrate one of its own former student-athletes, Eric Butorac '03. Butorac has not only gone on to a successful career on the Association of Tennis Professionals World Tour, but he has also found a unique way to give back to his home state. Four graduates of Gustavus Adolphus College have worked together on one coaching staff this season to help lead a high school to its first ever appearance in the Minnesota girls' basketball state tournament. 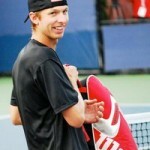 Eric Butorac, a 2003 graduate of Gustavus Adolphus College, has advanced to the quarterfinals of the men’s doubles draw at the Australian Open being played in Melbourne. 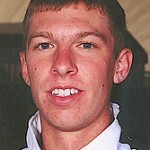 Eric Butorac, a 2003 graduate of Gustavus Adolphus College, recently won the fifth Association of Tennis Professionals (ATP) tour doubles title of his career. Butorac teamed with Rajeev Ram to defeat the Swiss tandem of Jean-Claude Scherrer and Stanislas Wawrinka 6-3, 6-4 to win the Chennai Open in India on Jan. 11. Semonti Mustaphi, a 2003 graduate of Gustavus Adolphus College, was recently named Deputy Press Secretary for first lady in waiting, Michelle Obama. Star Tribune reporter Rachel Blount recently featured Gustavus Adolphus College graduate Eric Butorac and his rise through the professional tennis ranks. Butorac and his doubles partner, Jamie Murray, advanced to the third round at Wimbledon before falling in four sets to the ninth seeded team of Lukas Dlouhy and Pavel Vizner of the Czech Republic. Eric Butorac, a 2003 graduate of Gustavus Adolphus College and former NCAA Division III Singles and Doubles Champion, will begin play in the men's doubles draw at this year's French Open either Wednesday, May 30 or Thursday, May 31.